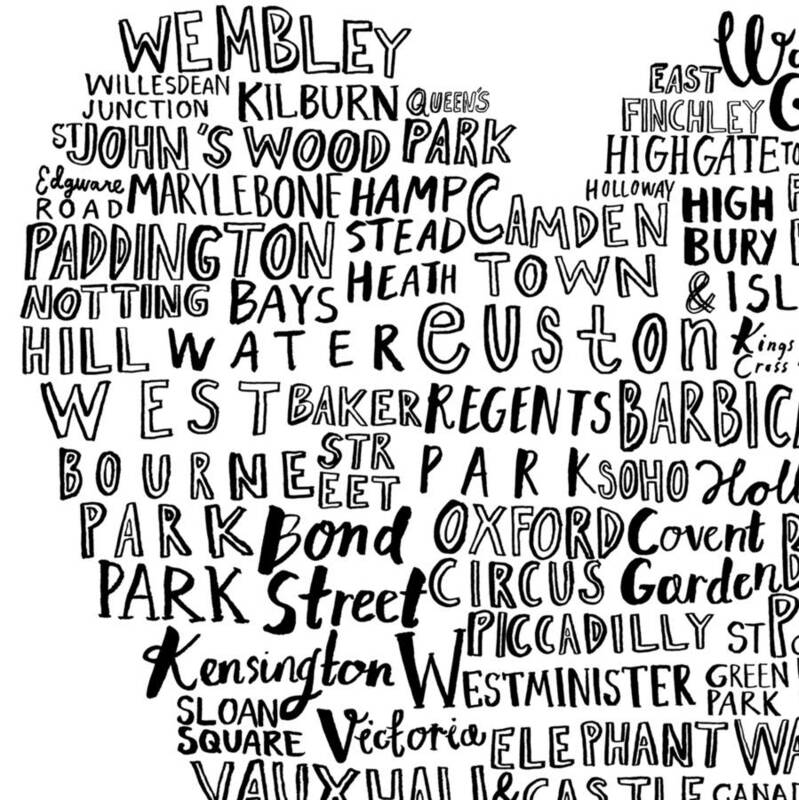 This stunning screen print with London locations creating a heart shape is a limited edition by Karin Åkesson Design. 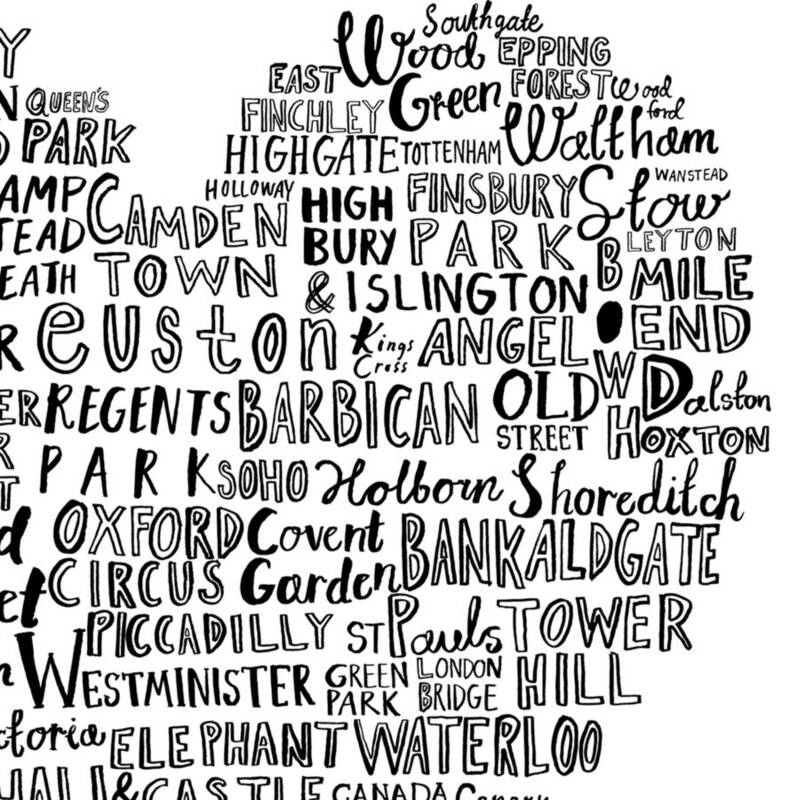 The print feature a range of well known areas in the amazing city of London. 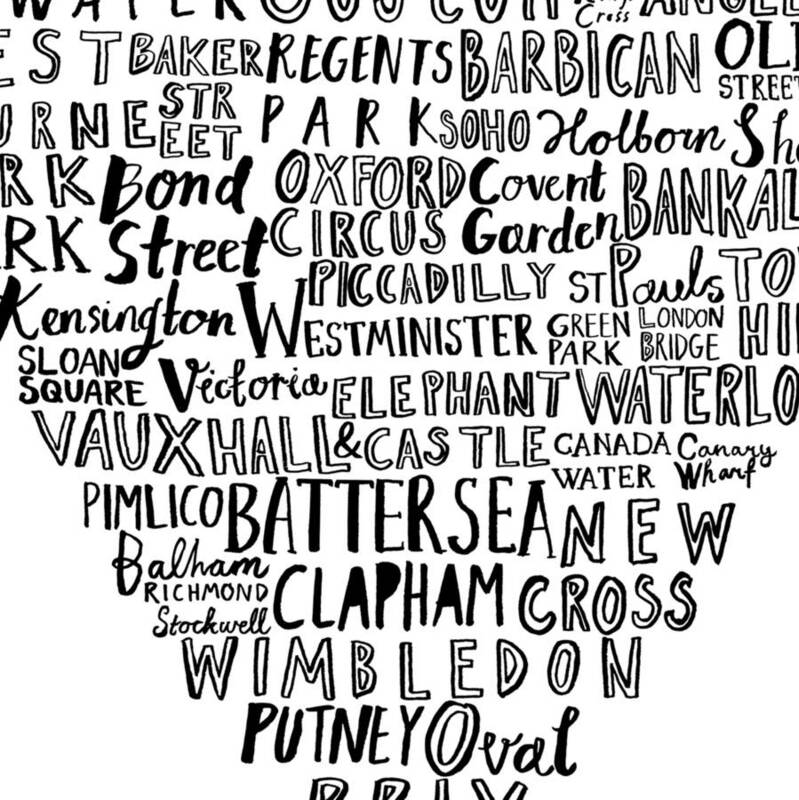 It is an unusual London map print. 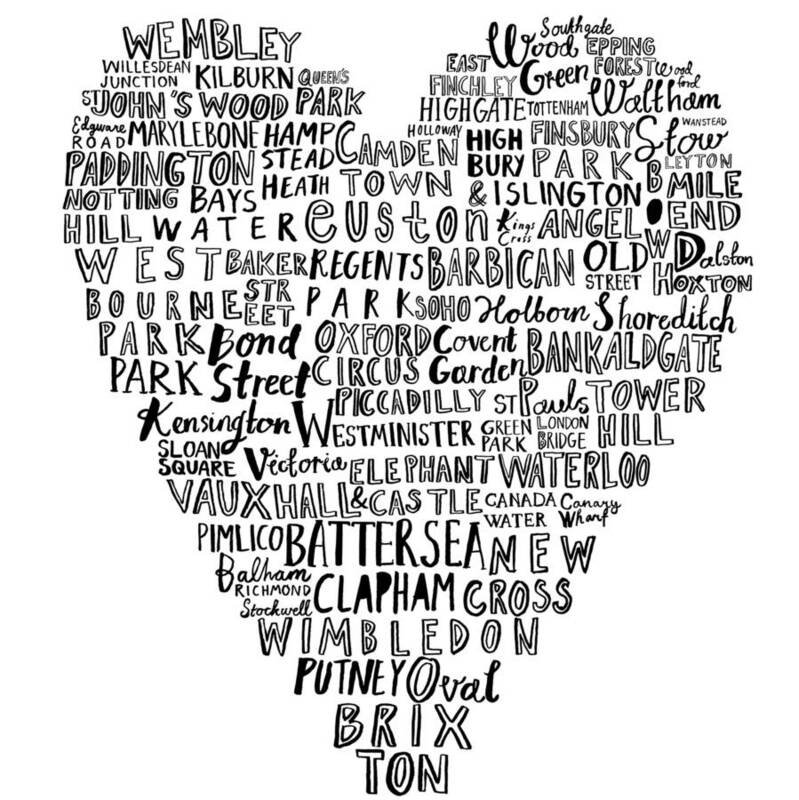 The locations including Kensington in the west, Dalston in the east and Brixton in the south create a shape of a heart. 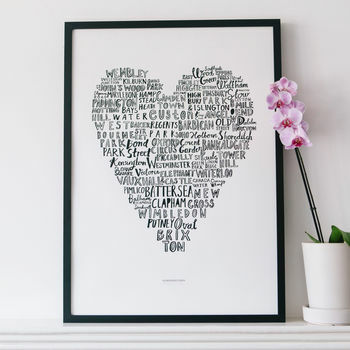 The print title "My heart belongs to London" is printed at the bottom of the print and the print is signed and numbered underneath. 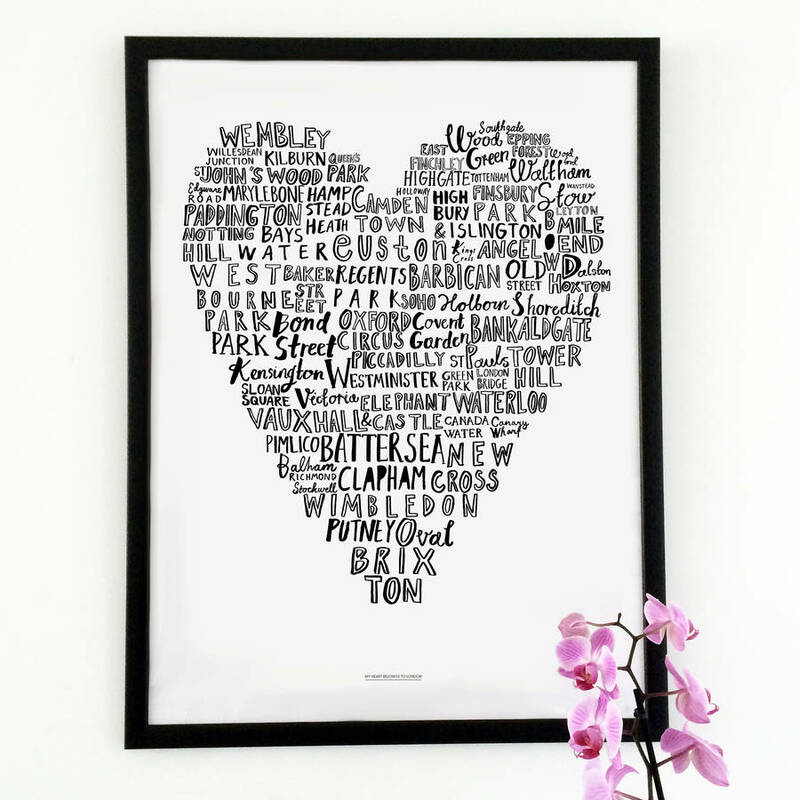 This print of London locations is a fantastic celebration of the city and the individual areas. 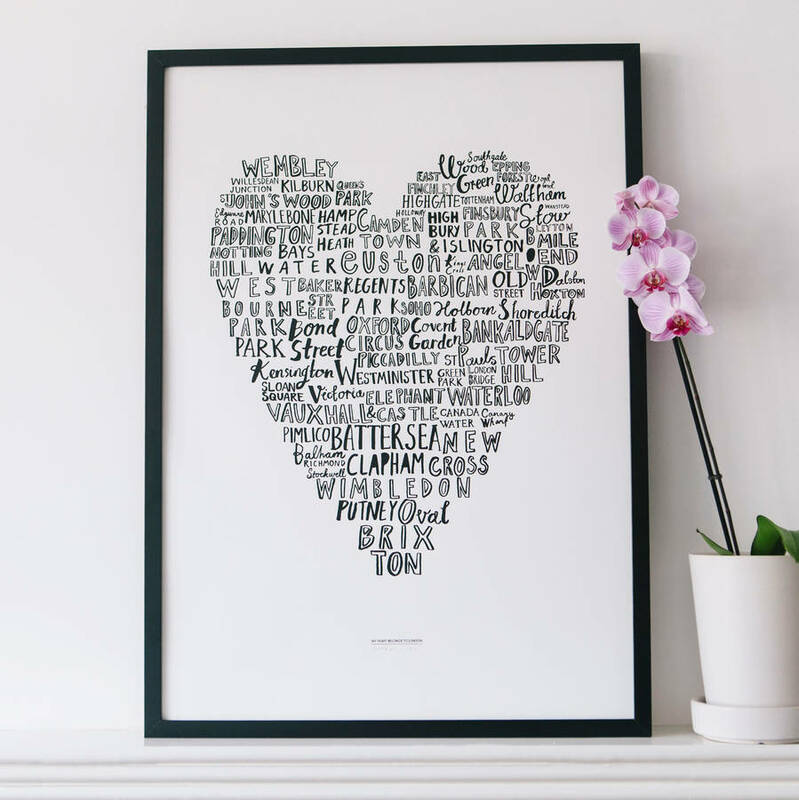 The typographic map print would would look amazing on any wall and makes a great talking point. The print is sold unframed and comes rolled up in a tube. Giccle prit onto GF Smith Colorplan bright white paper 270gsm.